This is an interview with God’s anointed servant Bishop David Oyedepo, the interview session almost turned into a sermon session, as God’s servant, releases so many light and revelation to answer most of the Questions that were been asked! WE ARE NOT ASHAMED TO BE CALLED THE CHURCH OF THE RICH. YOU PREACH AS IF YOU HAVE COMMITTED THE ENTIRE BIBLE TO YOUR MEMORY. HOW MANY TIMES HAVE YOU READ THE BIBLE? The Bible is an unfinishable book, you keep reading. A student once met me after a meeting and said that I quoted 68 scriptures verbatim. He asked if I memorised the scriptures, I said no, I eat them. No matter how unintelligent you are, you can’t forget the food you ate last night, except you are mentally derailed. If you are given three seconds, you could tell what you ate about five days ago, if you truly ate it. So, the Bible is just not for reading, it’s actually for eating. I’m not among the people that have read the Bible three or five times, I don’t know how many times I have read the Bible and I’m not planning to know how many times. I just know it’s my delight to feed on it daily, and I can’t claim to have finished reading it. THE LIVING FAITH CHURCH IS 33 YEARS OLD, HOW HAS IT BEEN, PASTORING THIS ONE CHURCH FOR THE PAST YEARS? The ministry is 35 years, the church is now in its 31st year. It started as an itinerant ministry before we were called into the church ministry. It has always been interesting. These things work when you have the right perspective on them. Every pastor is ordained to serve the congregation, not to be served by the congregation. When that understanding dawns on any pastor, and he embraces it, then, pastoring (pasturing) becomes a sweet adventure. I’ve never looked towards what I can get from any member since inception. But I’ve always longed for what I can give to the people. I must say I’m jealous over them, I don’t want anyone to take advantage of them or play games on them. I want them to just be the children of God that they are, serving God without duress or pressure. IS IT TRUE THAT CHURCH MEMBERS HERE PRAY FOR THE DEAD AND THEY WAKE UP, EVEN IN THE MORTUARY, HOW DO THEY DO IT? (Cuts in..) By tapping them and saying wake up (laughs). We must know the source of everything that we experienced or observed. No man has the power to raise the dead. Jesus is the only one that has the keys of resurrection and death in his hands. So, we rely on him to do those things and he quickens whosoever he wills; he determines who to bring back and who not to. We only believe in God to bring back whosoever he wishes, if we have the key, we would be delighted to bring back everybody, and even open a clinic for bringing back the dead. WHY ARE THERE SO MANY RICH PEOPLE IN WINNERS’ CHAPEL? Because they know better than their contemporaries. If you don’t know what you have, you won’t know if you are deprived of it. The Bible is an open chequebook, it is by revelation we access what belongs to us; by faith we take delivery of it. Someone had access to our empowerment programme and she is a pepper seller, while others sell one basket a day, she sells six, seven. I learnt she had become the envy of all the pepper sellers in her area. Such person has an understanding that whatever she does, she prospers and she knows that when she pays her tithe, she experiences open heavens. But in case people don’t know, they perish for lack of knowledge, and in case they think when you are rich you miss heaven, then they perish for lack of knowledge. SO , IT’S RIGHT WHEN PEOPLE CLAIM THAT THIS CHURCH IS ONLY FOR THE RICH? It’s for all the people who believe that Jesus already paid for them to be rich. And those who don’t believe, when they come they start believing when they see it happen in a lot of people’s lives. And we are not ashamed to be called the church of the rich. If they call your family poor, will you be excited? Even when a family is poor, they hate to be called poor. No man in his right mind enjoys being called poor, and nobody truly wants to be poor, people may pretend. Which is more honourable between being a giver and a beggar? Most of us came in very poor, but the light of God’s word came on us and we walked out of poverty in grand style into wealth and riches. HOW COME THERE IS SUCH WEALTH IN THE CHURCH DESPITE THE POVERTY IN THE NATION? The kingdom of God is funded by God’s resources. We are not funded by the economy of the world, but by the economy of the kingdom, which has a budget for all of its agenda on earth. We’ve been here (Canaanland) since 1999 and we have never had power outage or water shortage. The main players are Nigerians, the builders are Nigerians. There is no building here that any foreign expert took part in. There is no foreign company’s presence here, including the (Faith) tabernacle. Some of the revered foreign companies here in Nigeria are technicians in Germany, and they are all political contractors, not that they have something special to offer. IS THERE ANY WAY WE CAN TRANSLATE THIS INTO THE NIGERIAN SYSTEM? It is possible by believing in the capability and capacity of Nigerians to do whatever they need to do. This is the largest church auditorium in the world. It’s 104m free span wide. Even one of the reputed foreign construction companies (Julius Berger) came here to take pictures. Nigerians have unusual capacity to match any expertise in the world in any field they are involved in. Most of us go to school in foreign lands and we beat them, is it that when they get here, they become smarter? It’s just for the authorities at the various levels to believe that we cannot develop ourselves seeking foreign aides for everything. We must take advantage of the opportunities around us to develop the capacity of our men and women. This office (Church Headquarters) was built in 2001 and it’s neat and there is no crack on the wall, so, what is the problem? But if we want to do anything, we must give it to people from foreign countries so that those who award the contract can have a deal and share the money and at the end of the day, they are still poorer than poverty because any money stolen never enhances a man’s value. WE LEARNT YOUR CHURCH MEMBERS ONCE DONATED ABOUT 700 CARS AS SEED AND THAT THE CARS WERE GIVEN TO THE PASTORS? It’s important to mention that there was no time that I know in the history of this church where there were 700 cars. There is no such story. People can make anything out of anything. There was a time they said we had six planes, and I said they didn’t count them well, they should be up to 30 so that we use one each day of the month. Those are things that make news in the social media even when they are lies. People give here because they are taught to give, because we understand from the scriptures that it is the only way to increase. Every normal Winner takes good care of his parents. We also give to the poor. My family has sponsored close to 150?? people out of university and others at Landmark University are on scholarship on our own ticket because of our commitment to agriculture. It is a lifestyle; it didn’t start yesterday or two days ago. Since 1992, I have been consciously sponsoring students in various universities in Nigeria. The church is blessed because the church is a giving church. Just today (before you came), I signed millions for people who have health needs from the welfare account. And that continues. For instance, the church gives scholarships annually, not N100m or N150m. And it’s not in the news. And that we have been doing for years. HOW DO YOU FEEL WHEN PEOPLE ACCUSE YOU OF FLYING IN JETS AND SPENDING CHURCH MONEY TO MAINTAIN THE JETS? I feel very good. It’s an opinion. Let me tell you what my understanding of persecution is; it’s simply an opinion harshly expressed. And everybody has a right to his opinion. People who are walking in the truth are hardly bothered when things are said negatively about them because they have nothing to hide. The truth is I have never felt it, some say it’s not human, but I have not. I can’t be wasting my time trying to reply lies because I have too many things to do. They are doing their work, let me be doing my work too and before they wake up in the morning, I’ve done the next one, so, it doesn’t matter. My idea of it is that, in a football match, you have only 22 people playing with thousands of spectators. And that is the way it is in the journey of life. In every field, you find just few players and many spectators, multitudes. If we don’t know where to place opinions, they will displace us. When we started Covenant University, so many people said it would not work, now, we hosted two Nobel Laureates this week, whereas no Nigerian university has ever hosted one in the history of university education in Nigeria. Now, it is the most pronounced and preferred private university in Nigeria. In fact, they say this is the university of the future; that is what they say in the university community. Those who said it could not work now have their children here because they have changed their mind. Some people say how can you tell children how to dress? We have to do that so they won’t behave like mad people on the street. They say how can you tell them they can’t use phone? We tell them so they would be disconnected from cultism. Ask me anything, I can tell you why we did it. Where are you going to find the President of a nation with a woven hair? I can tell you that in the next 100 years, you won’t find a male president using earring because they would count you as irresponsible, even in the secular world, they won’t see anything in you. As free as America is, have you ever seen any minister there with earrings? The person may be qualified, but he will be termed irresponsible. But if you train these children how to carry themselves, it will open up their future. Everywhere you get to in this world, people are looking for responsible people, who don’t only say so, but prove so. So, all the opinions on Covenant University have died now because we didn’t stop pursuing what we believe was right and now it has become a standard. IS THAT WHY THE COVENANT UNIVERSITY HAD THE HIGHEST NUMBER OF FIRST CLASS GRADUATES THAT WON THE FEDERAL GOVERNMENT’S SCHOLARSHIP TWICE NOW? We package that into them so that right from here, they have two things; character and capacity working for them. With those two, you can go to any level in life. Here, there is time for everything. WE LEARNT THAT THE UNIVERSITY WANTS TO BE ONE OF THE TOP 10 UNIVERSITIES IN THE WORLD IN 2020. DON’T YOU THINK THIS IS A TALL DREAM? Where we are today, Harvard was not there 100 years after it took off. I studied the world class universities in depth. So, we are closest to it. The two Nobel Laureates that came signed up as visiting professors at Covenant University, we have about five of them in different areas. That somebody has never done it does not mean it cannot be done. We are believing God for it, not by using strength and power. There is a particular university in the US that never takes anybody from outside North America for postgraduate studies, but we have 19 Covenant University graduates there. Prof. Okebukola shared that with me at the conference last week. A Covenant University graduate is the overall best graduating student in a school in Britain. So there is increasing expression in the quality of training that they receive in their respective areas. Except the dream is taller than God; if it’s not taller than God, it’s a cheap possibility. WE EVEN LEARNT THAT THE CHURCH IS PLANNING TO ESTABLISH TWO MORE UNIVERSITIES? It is actually seven in our vision plan. ARE UNIVERSITIES NOW SECONDARY SCHOOLS THAT YOU ESTABLISH HERE AND THERE? We are trying to avoid having too many students on one campus so that we will not lose the quality of the training programme. Otherwise, the quality would wear down gradually. But because of the present security challenge that the nation is facing, it’s normal for us to review our approach in a manner that does not create tension for workers and anybody else. We believe God to help us out of the crisis. So if there are no adequate mentioning of our programmes, it is to create adequate room to see these security issues overturned. They should bring the comparison. You know people talk all kinds of things. Compare what they pay here and there and what those payments cover. The rate of power consumption in the hostels alone is out of this world. All we need to juxtapose this is that they should rent the room and pay for electricity and they would pay ten times the amount. People should just sit down and find out what exactly they are paying for. The church has not drawn anything from Covenant University since inception in 12 years. But this year, the church reserves about N1.6bn stakes in its development. So, it’s not a business, it’s a service platform. In every nation of the world, the government subsidises education to all the stakeholders, not in this country, not a dime has ever crossed from government to any private university in Nigeria. And ask those who are in it how much profit they are making, they would explain to you how it has been wonderful to pay staff salaries and keep the system running. Move to the next country where people rush to study, look at how much they pay and what they get for it. Whether they have teachers or not doesn’t matter. But every visiting professor here takes more than N1m. We are not talking about top individuals, Nobel Laureates and others. So, it’s where we find ourselves and we want to make a difference, and we must make a difference. I want to believe that the private universities are doing the best they can. Ask the federal universities how they get their allocations, what they calculate to train a child out of the university. Ask them what it is and ask them who subsidises for private universities. Most of them don’t have any equipment whatsoever. There is no engineering equipment you are looking for that you won’t find here, bought brand new. If the government is not accepting responsibility, all we can do is to do the best we can to get these children trained, but at a cheaper cost than they do and with greater quality than they have. Those who cannot afford it can go to government institutions and if they are committed, they will still come out with good results. THE ATTENTION OF THE WHOLE WORLD HAS TURNED TO NIGERIA BECAUSE OF BOKO HARAM. WHAT IS YOUR TAKE ON THIS? I hope that we are willing to find solution to it. I would be the last person in this world to believe that government has not discovered those who are behind Boko Haram. Otherwise, we don’t have any intelligence service in our country. Are they sacred cows that cannot be brought to book? Until we cut the source of their supplies and get those who are involved, we cannot stop them. But the danger is this, and I must say it here, we are at the verge of a break up. The Nigerian nation is too intelligent to claim not to have discovered those who are behind this. So, I really believe it’s all in the hands of the authorities to decide whether they want to confront the issue headlong or to keep watching it until Nigeria breaks up. DOES IT MEAN THERE IS NOTHING THE CHURCH OR OTHER RELIGIOUS ORGANISATIONS CAN DO? All that the church can do is to pray. The church is not in power, it has no political power. And when invited, we give advice, when required or called upon. You can’t call someone and say can I advise you? A president is a president, whether it is Jonathan or not, It would be stupid not to honour your President’s invitation. So, what is wrong with honouring the president? This is the President of the Federal Republic of Nigeria. He’s our President, not that he made himself President. It’s all nonsense. We are men and women of God who are pursuing a divine call. I honour President Jonathan as our President as a nation and as my president as a citizen, and so I have no regret and I would never regret being there at anytime he calls. My understanding is that anyone who is the President of this country requires the honour of the citizens and no matter your political view, it doesn’t change it. If he is doing thanksgiving or marriage, he is doing it in the church, who would be with him if the men of God are not with him? If I were in Canada or Australia, and I knew that my President was having an occasion that I thought I had to be there with him to honour him, I would fly down here. Whether it is President Jonathan or somebody else, as long as it is the president, and he says please can I see you, it is an honour. APART FROM INSECURITY, CORRUPTION IS ANOTHER PROBLEM IN NIGERIA. WE HAVE LOOTING HERE AND THERE WHICH IS ALSO CAPABLE OF CAUSING UNREST. WHAT IS YOUR TAKE ON THE CORRUPTION IN THE COUNTRY? That comes down to the kind of education that we offer. This is nothing but the expression of the content of the men. For instance, I have never given a bribe and I would be the last to give a bribe. I would rather die than give one. And those who collect bribe know that they can’t collect from me. Corruption has stayed with us for too long and I think it is a breeding ground for revolution. There is nothing happening in any private university today that would not have happened more in public universities, but for leakages here and there. But my understanding is that the church has a place of intense prayers because only God can change the hearts of men. People seek for appointment today not because of what they want to contribute but what they would have to share. Everybody is bothered, I am bothered. The rate of corruption in our society as Nigerians and Africans is enormous. But the church needs to be the example of what it wants to see in the society as far as corruption is concerned. Be that example; be able to say no and stand with it like Daniel. Right now, unlike in the time past, there are many Christians occupying sensitive positions at all strata of both public and private sectors. If the church people really come to a point of taking a stand against corruption, it would affect and impact Nigeria and the citizens positively. Let them go and start one. Almost every house in some parts of Nigeria is a mosque. So what is the complaint about? Multitudes still flock the roads on Sunday mornings going nowhere. Until everybody is saved and everybody is off the street on Sunday mornings, we don’t have enough churches. So for those who are angry, they would be angry for too long because we haven’t seen churches yet. A time is coming on Sunday morning that we won’t see anybody on the street, because they would be in church. And those who go to church to make money go bankrupt before they start. Church is not a money-making platform; it is a life-raising platform. There are many men and women who are coming out to start stronger ministries than the ones we are doing. So, you can’t say enough. Why don’t you say people in the market are enough? Somebody else is starting shoe or wrist watch business today in spite of the millions that are in it in Nigeria. Some barbers are just graduating today to join the company of barbers in the country already, yet we didn’t say they are enough. My submission is that we don’t have near enough churches in Nigeria yet and the ones we have are doing well. I can tell you that there are hundreds and thousands of vibrant and Bible-believing, heaven-focused and life-changing churches, founded by genuine people who are called by God and are pursuing their callings and ours is just only a little thing out of too many, and many more would still rise, so anybody that wants to be angry can just get ready to be more angry. Church is not a money-making venture, those who are saying it is should open one and they would make a lot of money. 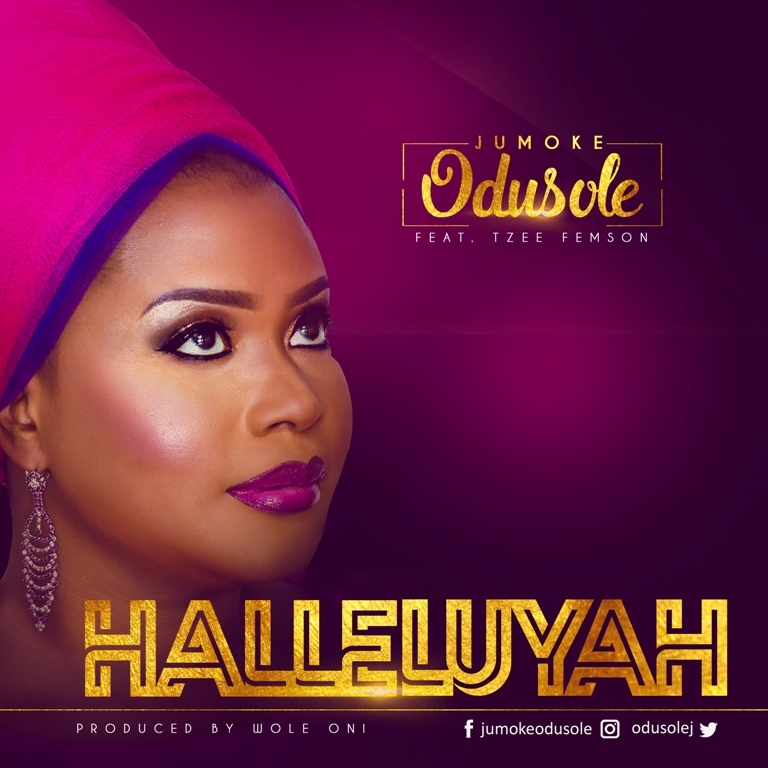 Nigerian born Gospel music minister/songwriter – Jumoke Odusole releases her debut single – ‘Halleluyah’ featuring Tzee Femson is a song that was composed in 2015 after a victory by God’s grace can best be defined as a sound of victory. The daughter of late musician – Tunde Femson found love for her calling from a tender age as she was raised and breed in a home filled with music and love. The multi-lingual talent studied Business Administration in the University of Lagos, and since she gave her heart to Jesus Christ has been privileged to serve as a worker in Methodist and Anglican churches, respectively. She currently serves a music minister in her local RCCG church. ‘Halleluyah’ was produced by the legendary Wole Oni. DayChild is a multi talented gospel music minister with an exceptional anointing to reach out to souls with life changing songs of the spirit. He is a member of the believers love-world nation aka Christ Embassy, Loveworld music and Art Ministry and the CEO of one of the fast growing gospel music label DAYLIGHT MUSIC INTL. Here is a beautiful song titled ALL HAIL THE KING by this amazing music minister of the gospel. This song has surely placed testimonies on the lips of so many around the world and it’s up for download. In everything we do, Praising God surely Comes First. 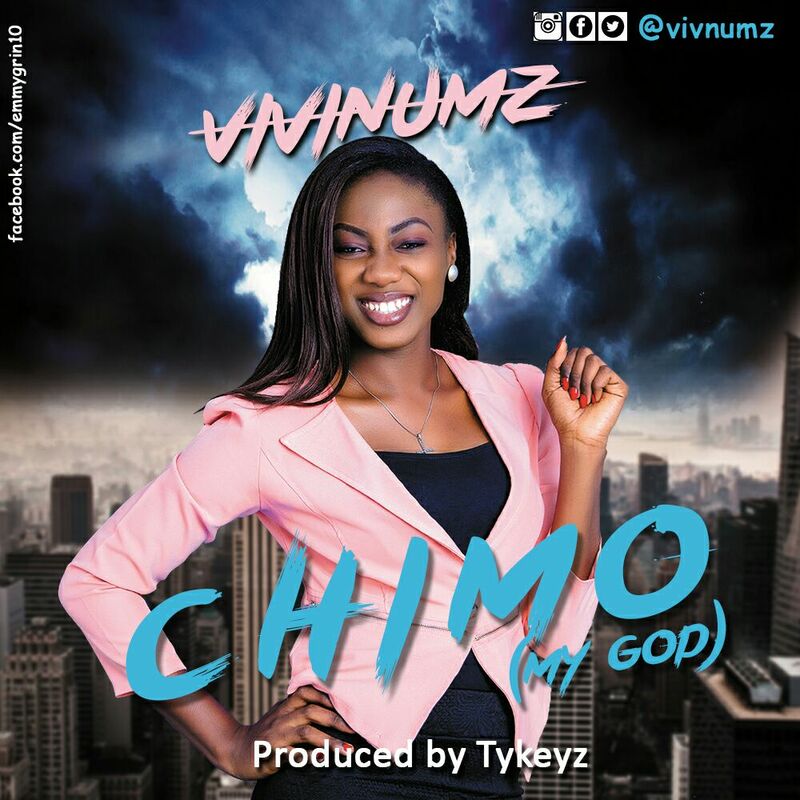 After dropping the still trending single tagged OGHENE WOMA, Vivinumz is here to teach us another great way to praise God in another Single tagged #CHIMO (My God). Listening to this Single will surely lift your spirit in High Praise, and take you to another realm of praising God. Download, Enjoy, and Love it. 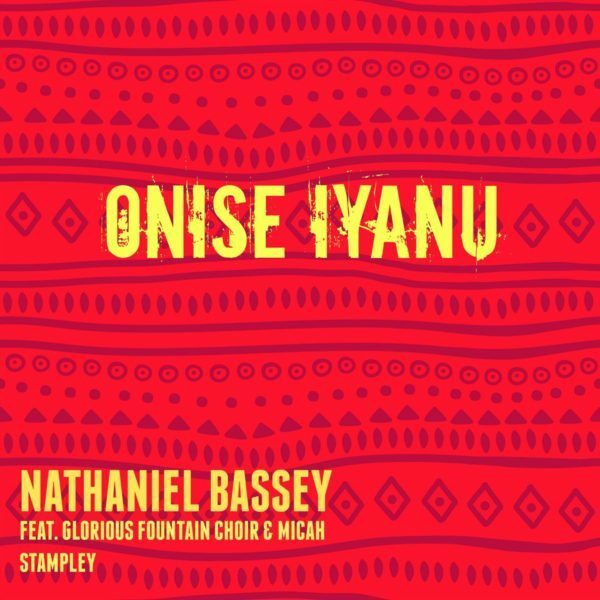 Nathaniel Bassey teams up with Glorious Fountain Choir and Micah Stampley in yet another soul stirring piece titled Onise Iyanu (God Of Awesome Wonders) declaring the wonders of God’s power and grace. 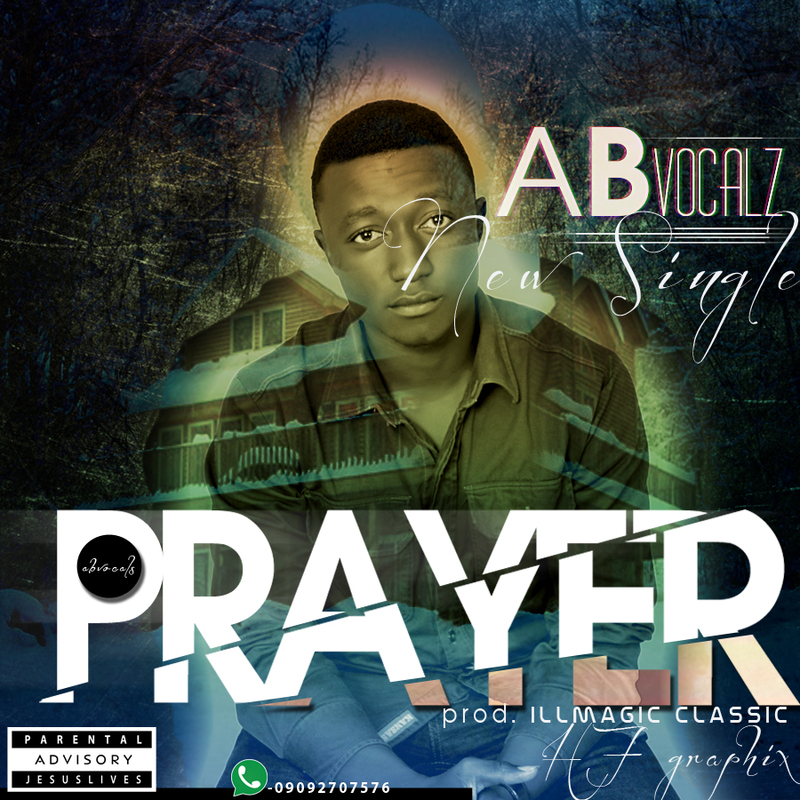 Jos based sensational Gospel singer and song writer, AB Vocalz whose real name is Abraham S. Abutuk Confirmed God’s call in his life as a Gospel singer and has fully embarked on the mission to affect souls positively through music. The young maestro is currently studying Chemistry in the University of Jos, he is a final year student. AB Vocalz started music at a tender age, he is determine to use his song as a medium of propagating the word to the world, seeing Gospel music not just as entertainment, in his words “the world is yet to see the best of me”. 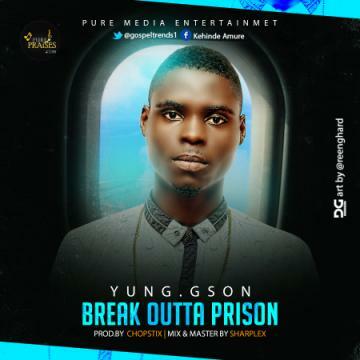 Yung.G son is a sensational Gospel maestro who hails from osun state, he started singing in a very tender age in his church choir, he went into ministry fully after God visited him in a dream, he is determine to affect lives positively here is a new tune “Break Outta of Prison” Off his Ep Album which will be dropping soon, this songs Break Outta of Prison symbolize God power to break us out of that power of sins, like fornication, stealing and any addicts, Romans 7:15 for things I want to do I hardly do them, but things I Don’t want to do I find myself doing download and Remain bless. When praises go up, his blessings come down so at COZA when EXTRAVANT PRAISE go up!! !, you are sure in for some nice doze of blessings coming down your way!! !… Join me as I take you on a journey of extravagant praise and bring down the glory of God. Gospel music artiste Minister Umoren has surfaced again; this time with his debut album which will be out soon. Minister Umoren is the last child and son of Professor and Professor Umoren E. Umoren of “Power of Faith Bible Church” at Calabar, Cross River State, Nigeria. He has released a number of singles including “Always”, “Worthy” and “For Who You Are” preceding the forthcoming album. Anticipate the release of this album on the 7th of August, 2016.